This NAIDOC Week, our Indigenous rights team tell us what motivated them to work for Indigenous rights. Rodney Dillon here. I’m an Aboriginal man from Tasmania. 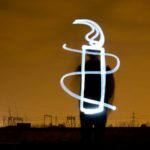 I have worked at Amnesty for the past eight years. My great-great grandmother Fanny Cochrane Smith was the daughter of Tanganooturra, from Cape Portland in Tasmania. Tanganooturra was forcibly removed to Wybalenna on Flinders Island. She survived the invasion, but like the other Aboriginal children at Wybalenna, Fanny Cochrane Smith was taken from her mother to be trained in British ways. Fanny was a very strong woman who has always inspired me. She eventually managed to move to the south-east of Tassie and get some land at a time when that was nearly impossible for Aboriginal people. My family has lived down this way now for five generations. This is where we belong now. Fighting for justice for my people is something I just have to do until things change for the better. As long as our people are denied the right to practice culture, our cultural heritage is not properly protected and our ancestors’ stolen remains are held in overseas museums, I will keep fighting for our rights. Fighting for justice for my people is something I just have to do until things change for the better. Our forebears took care of each other and they cared for this country for 70,000 years. They lived here in harmony. But the last 200 years have been very hard for Aboriginal people. Today a lot of our people don’t have harmony, many of us haven’t got the same standard of housing, health and education outcomes and more people are going to jail, even our kids. In my lifetime I want to see our young ones living in happy, healthy communities, coming out of school educated and getting good jobs. I want to play a part in putting them on the road to become community leaders. There’s great stories out there too, there’s people working tirelessly to make change. We’ve got Aboriginal judges, doctors and lawyers, but we still need to keep fighting for our people who are falling through the gaps. My name is Tammy Solonec. I am a Nigena woman from Derby in the Kimberley of Western Australia and I grew up in regional and remote WA before settling in Perth. 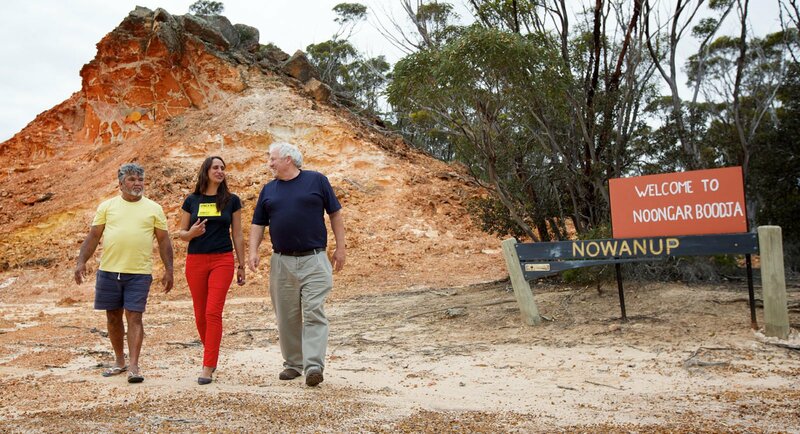 My passion and commitment to Aboriginal people stems from my ancestry and upbringing. When I was eight I lived in the town of Mullewa. I remember a racial riot after a Yamaji man was killed by a publican. This was a time when I asked a lot of questions. Mum worked in a segregated hotel at the time. The Aboriginal people used the ‘animal’ bar, the whites used the carpeted and clean part. When I was a teenager in Marble Bar, mum started studying Aboriginal and Intercultural Studies and taught my sister and I about the atrocities committed against Aboriginal people — the stuff we weren’t taught in school. I was always opinionated, like when I was living in the ‘closed’ mining town of Tom Price in the Pilbara of WA, where Aboriginal locals were not allowed to enter (it’s different now). So when I had the opportunity to study law, I jumped at it. Ever since then I have worked for and with Aboriginal and Torres Strait Islander people, including as a community education officer at the Department of Commerce, a lawyer at the Aboriginal Legal Service of WA, a convenor of NAIDOC Perth and a Director of the National Congress of Australia’s First Peoples. I’ve even attended the United Nations a few times. I feel very blessed and honoured to be doing this work. My time at Amnesty has been the first time I’ve worked for an organisation that is not dependent on government funding of some kind and this gives great freedom to do work that matters – like when we stood up for Oombulgurri – a community forcibly evicted. And this year, the work we are doing to reduce Indigenous children in the criminal justice system. I’m Julian Cleary. I grew up in Melbourne and have lived in Alice Springs, Mexico and Germany. On both sides of my family we are descendants of Irish potato famine migrants from Limerick and Tipperary. In my late teens, I began to reflect on my descent from poverty stricken people who came to this country seeking a better life, and the Aboriginal Peoples they dispossessed in the process. As a university student I became interested in the similar struggles of Indigenous Peoples in the Americas, West Papua and East Timor. In 2003 I went to volunteer with the Mixtec and Zapotec Peoples in Mexico. I saw first hand how dispossession from country directly led to poverty and marginalisation. But I also saw the resilience and vitality of culture in the face of this trauma. Every day as I went to work, I saw Mixteca and Zapoteca women chatting and singing in their own language, adorned in colourful traditional clothing, while they toiled away on street corners. They produced the most beautiful textiles, which sold for a pittance but kept their young ones clothed and fed. My experiences in Mexico got me thinking even more about our own backyard. I also saw the resilience and vitality of culture in the face of this trauma. Inequality and dispossession, but also a fierce determination to practice and revitalise culture, seem to me to be common to the struggles of Indigenous Peoples right around the world, despite their incredible diversity. This realisation strongly influenced my decision to return to University to study law with a focus on human rights. Since then, I have been incredibly lucky to have worked with and for Indigenous people and organisations right across Australia. I am still on a very steep learning curve, but I am privileged to do the work I do, standing with Aboriginal and Torres Strait Islander people and communities to continue the long fight for rights, recognition and respect. I’m Roxanne Moore, a Noongar woman from the South West of Western Australia. I grew up in Margaret River, lived in Perth for many years, and am now based in Sydney. Being part of the fight against the injustices facing Aboriginal and Torres Strait Islander Peoples in Australia is very close to my heart. My Noongar family originally lived near Bunbury but ended up at the mission at New Norcia. My great grandma was stolen from my family when she was about 13 years old. She was taken to Swan Native and Mogumber missions, where they tried to ‘civilise’ young ‘half-castes’ like her, before being contracted out for service to a farm up north near Carnarvon. My great grandma’s wages were mostly held by the government, and she had to write to the Chief Protector asking for a few pounds when she needed clothing. Eventually, when she became pregnant, she wrote to the Chief Protector, begging to keep her baby. She ended up on the run from the authorities to protect my granddad, and he never went to school. The government stole grandma, and in turn they stole from me my Noongar family and culture. I’m still trying to find them. There’s a lot of shame and trauma around the Stolen Generations, and it took a long time for my family to talk about it. There’s a lot of shame and trauma around the Stolen Generations, and it took a long time for my family to talk about it. My family’s history has instilled in me the need to fight for equality and respect for our people. The injustice and disadvantage today is clear across many areas that I’ve worked on in different jobs: Indigenous deaths in custody, racism and discrimination, violence against women, housing, land rights, criminal justice, to name a few. There’s a lot of brave Indigenous communities and people doing this work, and I’m proud to be working with Amnesty International, as a leading independent human rights organisation, towards better protection and respect of the rights and culture of Indigenous peoples.